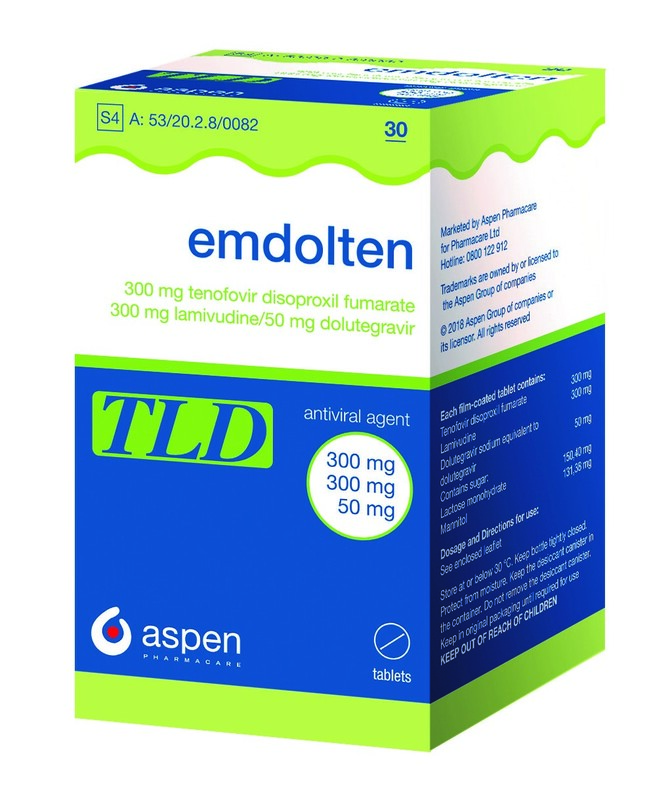 Aspen’s new Emdolten HIV-1 medication is an S4 medication containing 50 mg of dolutegravir, 300 mg of lamivudine and 300 mg of tenofovir disoproxil fumarate. Emdolten is indicated for the treatment of human immunodeficiency virus (HIV-1) infection in adults aged 18 years and older. Aspen is proud to introduce Emdolten film-coated tablets. Each tablet of Emdolten contains 50 mg of dolutegravir, 300 mg of lamivudine and 300 mg of tenofovir disoproxil fumarate. Emdolten is indicated for the treatment of human immunodeficiency virus (HIV-1) infection in adults aged 18 years and older. It is a Schedule 4 medication, comes in packs of 30 and is expected to retail between R460 and R529. Emdolten is available from your nearest wholesaler. For further information and trade enquiries please contact Bongi Ledwaba on + 27 11 239 6739 or our Customer Careline on 0800 122 912.